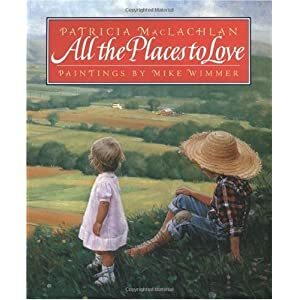 I love children's books and have collected many over the years for my own children. is reflected in her books. award-winning book, Sarah, Plain and Tall. as he uses family and acquaintances as his models. Isn't this cover alone so precious? 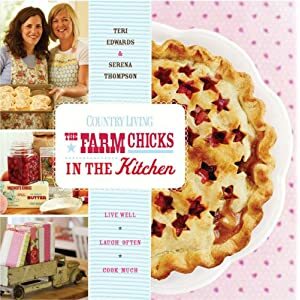 Have you met The Farm Chicks yet? "A Farm Chick is a girl who sees the world through rose-colored glasses. She loves her family. She laughs a lot. She's farm girl meets Fifth Avenue and with a little style, she'll change the world." I love it! Serena and Teri are a team of two who have partnered together to use their love of thrift and flea market shopping to create a very successful business, running an antique show/sale as well as writing books. You can read more about them on Serena's blog found here. 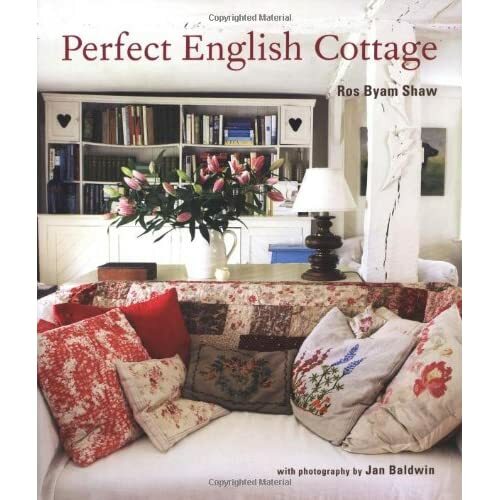 One of my great loves is cosy british decorating style, reflected in the details of the following two books. I have been to England twice and have stayed in some very fine B&B's as well as at this cottage with my daughter when we did a self-directed Jane Austen tour; an unforgettable experience. The Kissing Gate was everything we had hoped and dreamed of and truly fit the ideal of an English country cottage. So when I see books like this, it brings back pleasant memories as I study the details and recall the places we have stayed at....so uniquely british! This is the book my daughter was reading/browsing through yesterday at lunch. 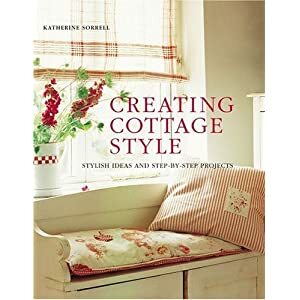 One of the reasons she loves the decor in this book is that each room tells a story and reflects the owner's style and interests, love of art and books, antiques and heirlooms, gardens and nature. Here is a peek at two of the pages. You might just glance at the photo and move on, however, both Jen and I will take in all the details, notice the mixing bowls on the cart, the aga cooker, and even try to determine the books on a shelf, the artwork on the walls, etc. This is how the author describes our taste: "The rural idyll is a dream we would like to believe in: a land of gentle cows and hayricks, fresh eggs and thatch, the place where all our favourite children's stories are set....roses round the door, log fires, sleepy dogs, faded chintz, flowery aprons and bowls of freshly picked raspberries..." Yes, it does sound too perfect, but it can't hurt to maintain a romantic view, can it?